A 15-year-old girl, whose dismembered body parts were found in a drain in outer Delhi a fortnight ago, was murdered for demanding her monthly salary, the police said on Sunday after arresting one of the killers from Nangloi. The arrested accused was identified as Manjeet Karketa. The killers had chopped the victim, identified as Soni Kumari’s, body into at least 12 pieces after killing her. The victim, a native of a village near Ranchi, was hired as a domestic help for a monthly salary of Rs 6,500, but did not receive a single penny for the three years that she worked in Delhi, said Rajender Singh Sagar, additional deputy commissioner of police (outer). She worked as a full-time help at a businessman’s house in south Delhi’s East of Kailash area, said the officer. “The employer would pay the monthly salary, but the people who brought her to Delhi were pocketing the money,” said the officer. Police said four persons, including a woman who works as a domestic help and the arrested accused Manjeet Karketa, were involved in the girl’s murder. 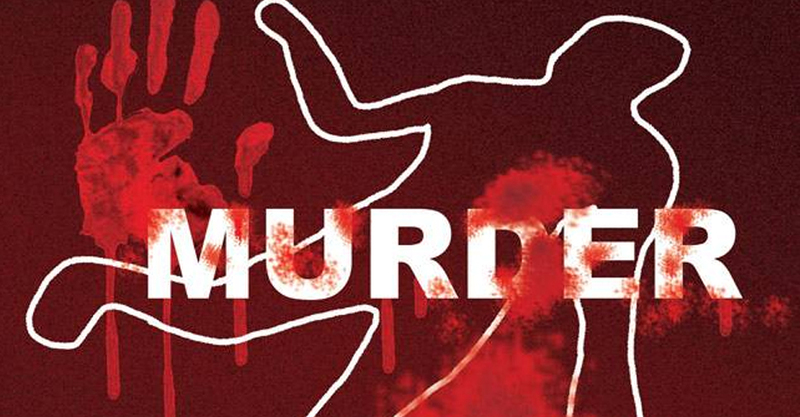 The alleged motive behind the murder emerged after police arrested one of the suspects from Jharkhand on Thursday. The girl’s father had died many years ago. Kumari lived with her mother and two brothers in Malgo village in Jharkhand’s Ranchi district. Three years ago, she had been brought to Delhi with promises of a high-paying job, said the additional DCP. The people who allegedly lured her to Delhi included Karketa, 30, and his associates Sahu and Gauri. Police said the trio did not operate any formal placement agency, but would regularly bring girls from Jharkhand and get them employed as domestic helps in Delhi homes. “Kumari worked at a few homes in the city before being hired by a businessman’s family in East of Kailash. But her monthly salary would be pocketed by the people who brought her to Delhi. Karketa would justify pocketing the money by telling her employer that he was Kumari’s brother. It also helped prevent the girl from escaping,” said an investigator. After the first year in Delhi, Kumari had begun demanding that she be paid her dues, and that she be sent back to her home. “Over the past few weeks, she had become more persistent with her demand. Karketa and his associates owned her more than ?2 lakh. They also feared being reported to the police. So, the trio planned to kill Kumari and roped in a fourth partner, Rakesh,” said the investigator. On May 3, the suspects took her away from her employer’s home on the pretext of sending her back to her village. Instead, they brought her to a house in outer Delhi’s Nangloi. “The killers first hit her on her head. They then severed her neck before dismembering her limbs and torso. They packed her body parts into bags and dumped them into a drain in Mianwali,” said the investigator. When the body parts were discovered by a passerby the next day, police had a task at hand as they had to first identify the victim, before tracking down her killers. A CCTV camera had recorded two suspects carrying the body parts in a bag, but their faces were not clear. So, the police photographed the victim’s head before launching a door-to-door search in Mianwali and neighbouring areas. “We visited 2,500 homes and particularly focused on 200 houses before zeroing in on a house whose two occupants had been missing since the day of the murder. Neighbours were shown the girl’s photo and they confirmed that she was seen there on May 3,” said the investigator. Once the suspects were identified, police sent teams to Jharkhand villages to nab them. “We searched 45 villages in Gumla and neighbouring areas before finding Karketa’s home,” said the investigator. Karketa was finally nabbed on Thursday evening after police were tipped off that he would be visiting his rented home in Nangloi.